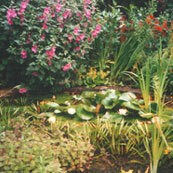 Garden based group visits and bespoke courses in Staffordshire. 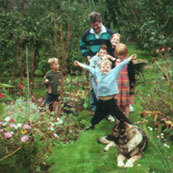 The garden has been certified by the Soil Association since 1989. We offer group visits by prior appointment for a minimum of 10 people, from 1st May to 30th September. Please call us if you would like to book a visit. A warm welcome awaits you. Situated on the edge of Cannock Chase, in an Edwardian garden, a small but wide range of organic fruit and vegetables are grown from seed. 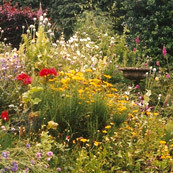 Our group visits are guided and are based upon the principals of Organic Gardening in our Edwardian garden setting. We rely on our own compost and green manures, but some horse manure comes from a local stable to add nutrients to the soil. All the waste from the garden gets recycled into recreating compost and fertility for the whole garden. The garden includes a conservatory, two greenhouses and a polytunnel, two acres of lawns, vegetable gardens, herb garden, woodland fruit trees and an old English apple orchard. We run bespoke courses for people wishing to learn about organic gardening. You will find a selection of topics that we can cover and based upon a mix and match approach you can tailor the course to cover the particular skills that you would like to learn. 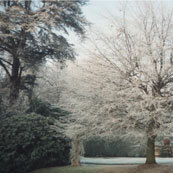 The suggested course topics are seasonal - spring, summer and autumn/winter. This seasonal approach means that our training methods are not just classroom based theory - our practical sessions will give you meaningful training, covering all you need to know. Courses can be tailored to your current ability level so that you can tell us which specific areas of learning you would like us to cover. 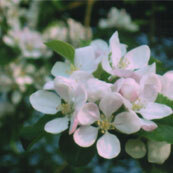 We are very passionate about what we teach and have over 21 years experience in organic gardening. We have two greenhouses and a polytunnel for wet weather teaching. We take a friendly, informal approach to both our group visits and bespoke courses and hope that our attendees thoroughly enjoy the time they spend with us. Please make sure that you bring suitable clothing and footwear. Refreshments will be provided and if you plan to stay over in the Staffordshire area we can advise on places to stay. Contact the garden for further details.